In most professional sports around the world it is customary to celebrate a win or a championship with champagne. In Germany however, this tradition has been broken long ago, with the local clubs and athletes choosing to enjoy their success with gallons of the much better beverage, beer! 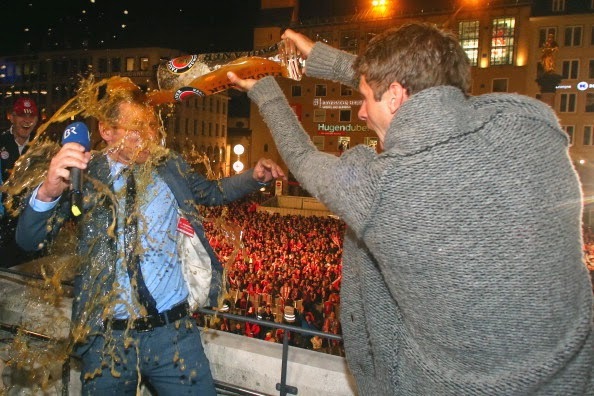 This week on Hopdays, we look back at some of the better beer shower moments from the Bundesliga. 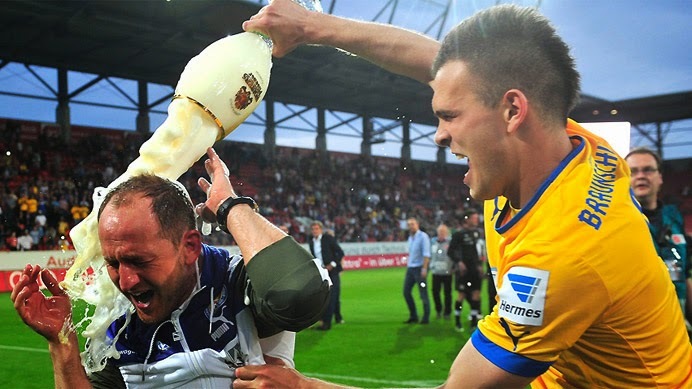 Eintracht Braunschweig player showers his coach after securing promotion to the top tier of German football. Don't mind if I do. 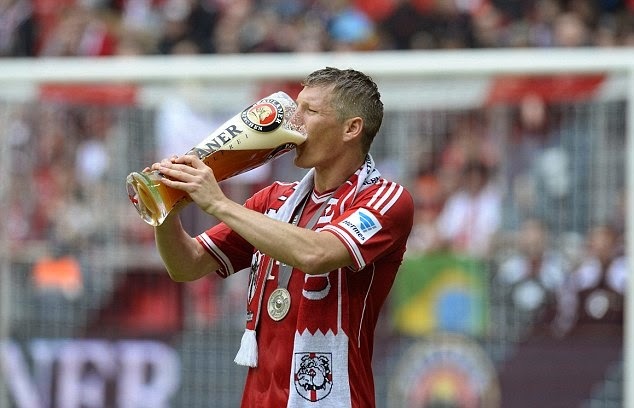 In most cases drinking on the job is unacceptable but Bastian Schweinsteiger doesn't seem to care after helping his squad to a Bundesliga title. Eintracht Frankfurt manager Armin Veh takes one on the chin after securing European football and the club's highest Bundesliga finish in 19 years. Luiz Gustavo, Anatoliy Tymoschuk and Dante chase Bayern manager Jupp Heynckes. Italian striker Luca Toni seems to have the ability to freeze the brew mid-air. Hertha Berlin players enjoy a beer shower as they are promoted back to first tier Bundesliga. 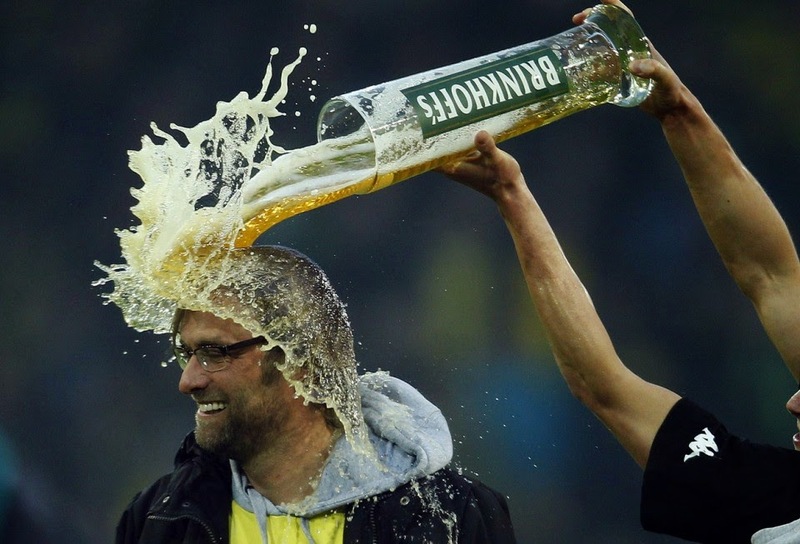 Jürgen Klopp receives a custom hat made by Brinkhoff's Pilsner. Bayern Munich's Spanish manager Pep Guardiola seems to have a trick up his own sleeve as he gives the beer treatment to his team member Toni Kroos. 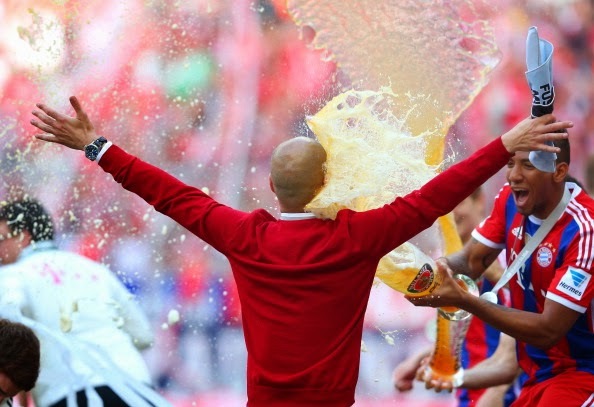 In most cases doing this to your boss would definitely get you fired, but Guardiola doesn't seem to mind a beer shower from Jérôme Boateng. Boateng is at it again as he catches Frenchmen Franck Ribéry off-guard. 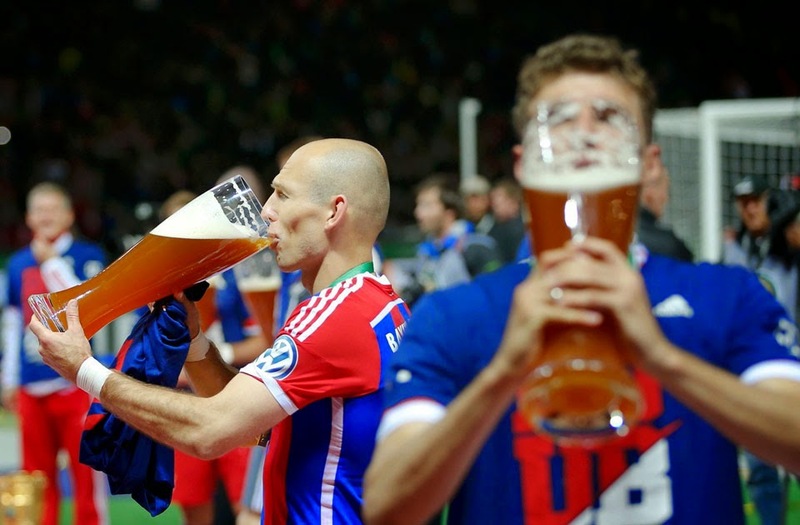 Jerome should have known better as Ribéry was trying to avoid the beer showers due to his Muslim religious beliefs. 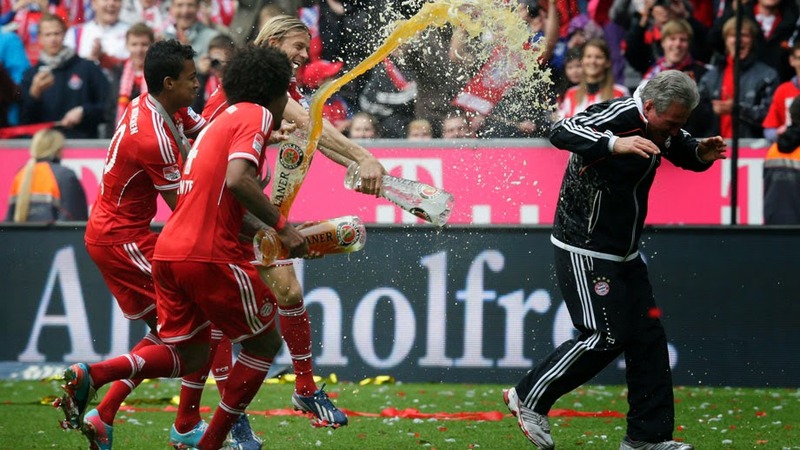 Not only players and coaches get in the middle of these beer shower celebrations. Bayern Munich's Thomas Müller demotes this news presenter to a weather forecaster position. "Tonight is going to be wet and sticky".